Clinical Pilates at Kardinya Physiotherapy! Pilates-informed exercises with a physiotherapist improves core stability to help manage and prevent low back and neck pain, enhances postural control, body awareness and flexibility, helps to reduce the risk of pain or re-injury and strengthens and tones the muscles. Our physios have undertaken extensive training with DMA (Dance Medicine Australia), who are at the forefront of Clinical Pilates development, training and research in Australia and internationally. Clinical Pilates can help you! Clinical Pilates involves specific exercises designed to improve the way in which you move. It is an individualised treatment method which addresses the underlying cause of your pain, not just the pain or injury in itself. In addition to focusing on your problem area, Clinical Pilates will positively affect your whole body through the improvement of strength, mobility, posture and movement control. 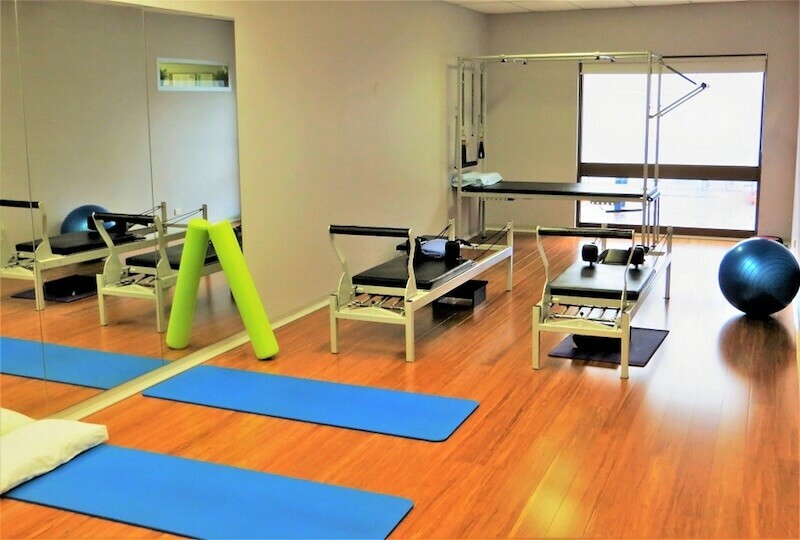 Our Pilates-informed exercise program begins with a one-on-one consultation with a Clinical Pilates-trained physiotherapist and incorporates a thorough initial assessment including injury history and movement analysis. An introduction to the exercises and equipment will also take place during the initial consultation. Following this, your exercise program progresses into classes supervised by the physiotherapist (maximum 3 people per classes), with each class running for one hour. Home exercises may also be encouraged and progressed as you continue your program. Clinical Pilates type exercises are not just for people in pain or recovering from an injury. The benefits include improved muscle strength and control, core stability, flexibility, agility and several other important performance factors. This translates to improved global function and enhanced athletic performance, giving both amateur and professional athletes an edge over their competitors. Your personalised Clinical Pilates-informed exercise program will be tailored according to the specific demands of your sport. 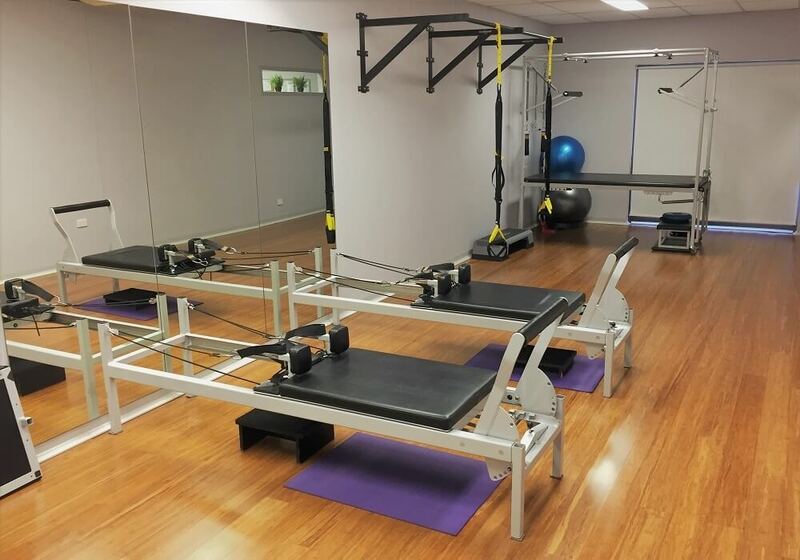 Why choose Pilates at Kardinya Physiotherapy? We offer private sessions and classes. Our Pilates classes will always remain small (up to 3 people) to offer a personalised and high level of patient care and tailored programme to meet your needs. Are private health insurance rebates available? To comply with the government’s private health insurance reforms, as of April 1st 2019, only patients performing Pilates-informed exercises prescribed by physiotherapists as a part of their treatment program will be eligible to claim a rebate. Pilates offered in other contexts such as purely for fitness will not be able to claim. Comfortable and non-restrictive clothing is recommended. We recommend bringing a water bottle. You may also bring a towel if you wish. If you have any relevant x-rays or other scans, bring them with you for your initial assessment. You should be attending a Pilates class at least once per week. Two or more sessions per week are ideal for maximum benefit. Is Clinical Pilates only for private-paying clients? No. We also accept worker’s compensation, motor vehicle accident claims, Medicare Enhanced Primary Care and Department of Veteran’s Affairs clients.